Three Ukrainian ministers who have earlier tendered their resignation announce they have changed their mind, according to an UNIAN correspondent who attended an extraordinary cabinet meeting on Thursday evening. Information Policy Minister Yuriy Stets was the first to announce his intention to withdraw his letter of resignation. "I announce in public that I'm withdrawing my letter," he said. He was followed by Agrarian Policy and Food Minister Oleksiy Pavlenko who also gave up plans to quit. At the same time, Pavlenko warned against political pressure on his ministry and his work as minister. Alexander Kvitashvili in turn announced his plans to continue work as health minister. "I'd like to announce in public that my letter of resignation will be withdrawn," he said. Kvitashvili said he would like to continue work for the sake of Ukraine's future as he would not like to do things by halves. 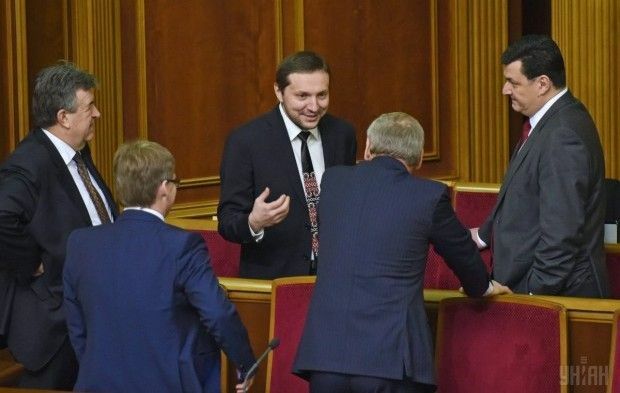 As UNIAN reported earlier, representatives of the Petro Poroshenko Bloc's parliamentary faction have repeatedly criticized Kvitashvili for inaction and insisted on his dismissal. On June 30, 2015, Kvitashvili announced that the initiative as for his dismissal was being lobbied because of the reform of the medicine procurement system. On July 2, 2015, he announced he had tendered a letter of resignation. On September 17, 2015, the Verkhovna Rada failed to approve his resignation, having put that issue to vote four times.